The New Showcase for music, innovative art and technology. documents the recording of this piece. The performers are (in order of appearance): Justin Klocke, Cal Clements, Jeremy Ayres, Cortez Garza, Jacob Brault, Rachel Debuque, and Chris Duran. Recording engineer and collaborator: Zach Elliott. 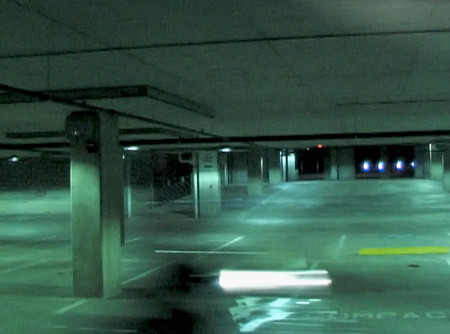 An audio performance with seven drivers utilizing the resonance of a parking structure.